Rogers Poultry is proud to offer MARY’S FREE RANGE ABF TURKEY as part of our SUSTAINABLE POULTRY PROGRAM. 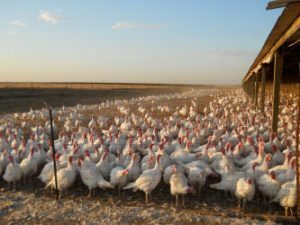 Mary’s Free Range Antibiotic Free turkeys are raised on healthful grains and allowed to roam in areas four times the size of areas provided by the average commercial turkey ranch. Their high-protein diet provides the optimal amount of nutrients for the turkey to grow into bigger and more flavorful turkeys than those typically found at the supermarket.